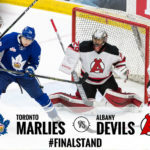 TORONTO – The Albany Devils fell to the Toronto Marlies 3-2 in overtime Wednesday at Ricoh Coliseum. 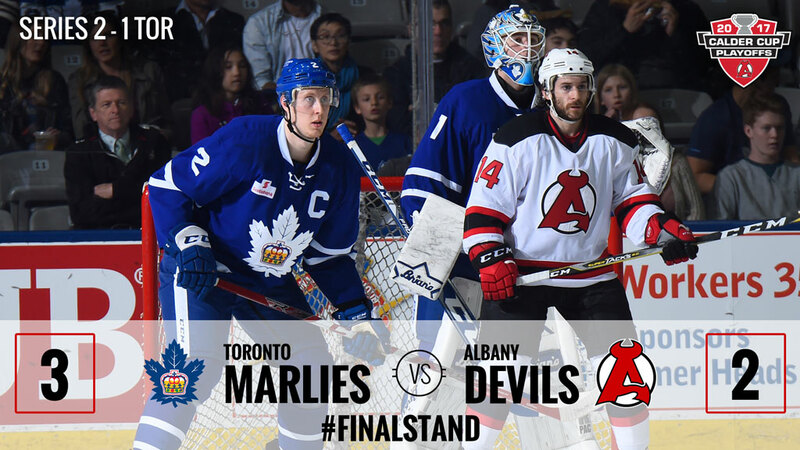 The Marlies now lead the best-of-five series, 2-1. Colin Greening netted the overtime winner just 45 seconds into the extra frame. Justin Holl got the assist. 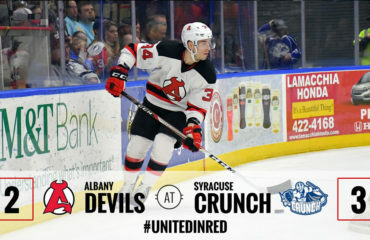 Brendan Leipsic got the Marlies on the board first at 3:49 of the first period after Kasperi Kapanen sent him a backhand pass across the crease which he slipped past Devils netminder Mackenzie Blackwood. Travis Dermott picked up the secondary assist. John Quenneville answered at 10:16 of the period with a power play tally on a shot from the top of the circle. 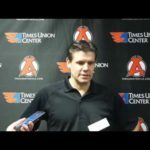 Karl Stollery and Ben Sexton were credited the two assists. 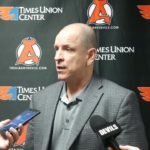 The goal was Quenneville’s third of the playoffs. 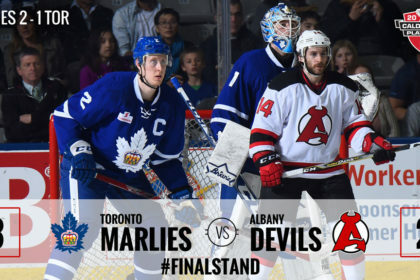 The Marlies pulled ahead 2-1 at 17:59 of the second period when Leipsic netted his second goal of the game. Kapanen and Frederik Gauthier earned the two assists on the play. Carter Camper answered back just 23 seconds later to tie the game at 2 lifting a puck over the glove hand of the Marlies netminder Kasimir Kaskisuo. 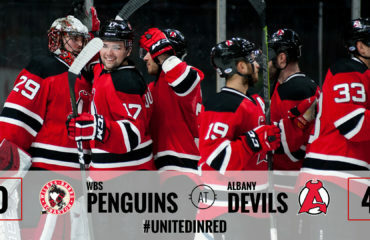 Steven Santini and Blake Pietila picked up the assists. Neither team was able to find the back of the net in the third leading to the extra frame. 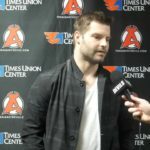 Blackwood finished the night with 22 saves on 25 shots, while Kaskisuo picked up his first playoff victory stopping 27 of 29. 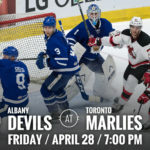 The Devils and Marlies face off Friday for Game 4 at Ricoh Coliseum. 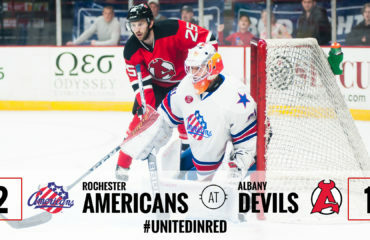 Puck drop is at 7 pm.